Gemini zodiac sign is the third sign among the total twelve signs. This is the sign for people who are born between 21st May and 20th June. Gemini people are fond of talking and love to build friendships. They are imaginative and try to lead an interesting life. The twins depict the Gemini zodiac and therefore, have conflicting emotions at all times. They are never sure of what they want. Gemini people are intelligent and witty. They are successful speakers and are adaptable by nature. They can adjust to any situation without any conflict and prefer having ever changing life with new circumstances. Lucky Numbers of Gemini – The lucky numbers for Gemini are those that total up to be 5. These numbers include 5, 14, 23, 32, and 41. Gemini people are characterized by qualities like high level of energy, adjustable nature and very soft spoken. They are supposed to be very intelligent and clever. They become good professionals and have good reputation among their clients. They believe in remaining young at heart and like to enjoy life whole-heartedly. They can enjoy with everyone and love to talk and express themselves. They have the capacity to think fast and behave instantly. If, you know a Gemini, you would agree that he or she has a creative mind as well. There are some traits that are negative in Gemini people, which include inconsistency, lack of depth in thoughts towards other individuals. Gemini has a bad quality of not expressing oneself emotionally. That leads them to be not very close to anyone. They are superficial by nature and tend to present themselves differently in comparison to who they are exactly. They also lack the ability to make decisions especially if they big ones. 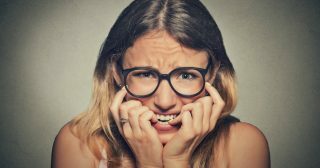 There is a common trait among Gemini zodiac characteristics is to feel anxious and nervous at important milestones that they come across. A Gemini man is blessed to be intelligent and clever. He knows his work well and can act accordingly. As Gemini symbolizes twins, the people born in this zodiac sign have the gift to look and understand both sides of any problem and then find a solution with a balanced mind. Gemini man enjoys company of intelligent people and discussing different topics of life. They are high on energy, which makes them want to do too many things at one time, which makes them inconsistent and they cannot master a particular work. It is said that a Gemini woman is very clever and talkative. They can talk about anything on Earth and no one can try to change anything about them. She gets bored easily if she is in the same environment for long and prefers constant change and adventure in her life. She is ever willing to try new ideas and things. She is charming and loves men who are intelligent and have a good sense of humor. A Gemini child will show a lot of curiosity in everything that they come across. This is why they come across as intelligent children, who also have a creative side in them. To raise a Gemini child parents especially needs to take care about their inconsistent nature. They need to be taught to be patient in everything they do so that eventually this trait reduces in life for them. Like mentioned earlier, Gemini individuals are impatient and cannot have their attention on a single thing. They want to keep trying new things and there mind wanders everywhere. These traits work negatively on their business. They lose focus easily if they are not doing too well in their work and prefer switching it as soon as possible. They are intelligent and communicate well so they become good managers who can motivate their staff with encouraging words. They are also good salesperson because of their good elocution. Gemini people like to have relationship with interesting and funny individuals. They like to have a fun relationship where one is able to experiment new things and visit new places. They do not believe in sitting in one place and spending time alone. For them the meaning of love and romance is to communicate their emotions and have a gala time together. As parents Gemini are good guide and can teach their children good habits. They give them freedom and allow them to be on there own. Gemini and Aries is the ideal partnership where one encourages, supports and completes the other perfectly. The air sign Gemini fuels the fire sign Aires to grow and flourish to its maximum potential. These zodiacs share plenty of similarities. They share love for adventure and are eternal optimists who connect perfectly on the mental and physical level. These free spirited souls are highly expressive and excellent communicators. Aires is a fiery and dynamic while Gemini is stable and intellectual. Aries initiates a plan and Gemini analyses its viability and supports the idea. compromise, nurturing and trust, the Gemini-Aries duo overcomes these obstacles and strengthens their bond of love even more. Gemini’s funny, loving and caring attitude melts the heart of rigid Aries in no time. However, Gemini loves to be acknowledged for their wits and intelligence and Aires knows this. 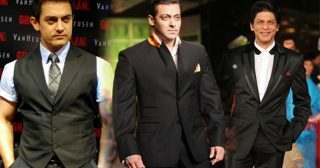 They generously compliment their Gemini partner and encourage them in their pursuits and thus win their hearts easily. Aries is commanded by Mars, the planet of passion, while Gemini is ruled by Mercury, the planet of communication. These zodiacs use separate approaches in a relationship, but put in sincere and mutual efforts, to reach their common goals successfully. They strive to create a happy life and an eternal love story. Gemini’s intellect together with Aries’ passion can help this couple to attain phenomenal, both personally and professionally. A Gemini- Taurus relationship needs time to blossom since both these zodiacs seldom understand each other well. These polar opposite signs don’t share much in common and display completely different traits and characteristics. By nature, Taurus is dependable, stable, matured and possessive while the Gemini is indecisive, uninhibited and free spirited. Thus the Taurus feel that the quick witted and jovial Gemini is too dreamy, impractical and flighty while the Gemini feels that the strong headed and rooted Taurus is boring and dull. However, with patience, perseverance, and efforts, Taurus and Gemini can learn alot from one another and make the ends meet successfully. The twins can teach the bull to live life uninhibitedly and enjoy it to the fullest while also giving space to their partner in the relationship. In return the bull can teach the twins the importance and benefits of concept of focused attention towards successful attainment of their goals. Venus, the planet of love, commands Taurus while Mercury, the planet of communication, rules Gemini. Venus, being all about love and romance and sensuality, makes Taurus look for dependability, care and sensuality in their partner. Gemini on the other hand has an intellectual bent of mind and understands and values the importance of good communication for a successful relationship. Such differences in opinions and expectations cause friction in this affair. However, if the partners try to understand each other’s needs rightly and put in honest efforts to satisfy those needs, then the hiccups in the relationship can be smoothened out. Gemini’s detached and seclusion-loving attitude and the Taurean’s over possessive tendencies need to be checked and curtailed for the betterment and healthy growth of this relationship. This is a fun loving and vibrant couple who never have dull and boring moments with each other. The Gemini partners are intelligent, sharp and excellent communicators. Being ruled by Mercury, the planet of communication, both these partners love to talk and engage in discussions and debates on any and anything under the sun. They stimulate one another intellectually and are highly expressive, innovative and creative. Gemini’s flexible and easy-going nature and their ability to compromise ensures that their relationship is frictionless and argument free. However, these couple ends up competing between themselves in the relationship. If the Geminis can avoid this competitive tendency and work together as a team towards mutual goals, they can live a happy, contended and successful life with each other. The air sign Gemini is more rational and practical than romantic in their approach. They love to exchange volume of words, which are essentially playful, sarcastic and ironic, with their partner. However, they need to remember that Intimacy and seriousness is important in the relationship. And they are the key factors that strengthen the bond of love. Unfortunately, both the Gemini’s, seldom take each other seriously. Both of them need to be more attentive and caring towards each other and realise that love, care and understanding are what can make this relationship grow and last. Along with mental compatibility, love and romance are equally important ingredients that go into the making of the ideal love story. Thus, by making each other feel special in the relationship, the Geminis can create the perfect fairy tale. Air sign Gemini and water sign Cancer are zodiacs that see and perceive the world from different angles and hence their relationship can be a challenging yet interesting one. Gemini is all about clear communication while the highly sensitive Cancer is weak at communicating their emotions and view point accurately. Cancer is highly insecured in the relationship and needs constant reassurance from their Gemini partner that their bond of love is strong and eternal. However, if Gemini fails to provide the assurance or makes Cancer feel ignored, then it could create friction in the relationship. Thus to make this relationship function smoothly and last long, both the partners need to understand each other and make efforts to meet the opposite ends meet. Gemini is ruled by the Mercury, the planet of communication and Cancer is ruled by the Moon, the planet of emotions. Gemini, through its brilliant talking skills and chivalrous nature, can help the reserved crab to be more expressive and open about their thoughts and feelings. The intuitive and happy Cancer in return can teach the over cautious Gemini to relax and enjoy the beauty of the world and life on the whole. These two together can form an excellent team as they take balanced decision which are based equally on emotions and intellect. The Cancer leads in this relationship while the Gemini willingly follows. If these signs work together in tandem towards a common goal, then they are sure to succeed. With mutual understanding and clear lines of communication, Gemini and Cancer can form a ideal union that is strong and lasting. This couple is one that is the perfect blend of playfulness, high spirits and excitement in a relationship. They are both, active, expressive, dynamic , optimistic and love to lead life in their own ways. Leo is determined, loyal, creative and impulsive while Gemini is free spirited, intellectual and flirtatious. While Gemini is attractive towards Leo’s creative stimulus and lively nature, it can find the Leo irritatingly stubborn and bossy at times. On the other hand, the Leo appreciates the Gemini’s wits, intelligence and communication skills but dislike their indecisiveness and flirtatiousness. These dissimilarities can lead to insecurity and disagreements in the relationship and give rise to heated and loud arguments. However with mutual understand and clear communication, peace can be easily restored and maintained in this love affair. Leo can help the Gemini to take better and quicker decisions and transform their plans into reality through instant action. Gemini can teach Leo to be stable and flexible in life and attain success. Gemini is commanded by Mercury, the planet of communication while Leo is reigned by Sun, the planet for self. Both of them express their emotions and feelings but in varied ways. Leo can feel unsecured and hurt in the relationship due to Gemini’s flirtatious nature. Thus the lion needs to be constantly assured that their love bond is strong and growing. With respect, understanding, loyalty and patience in the relationship, air sign Gemini and fire sign Leo can unite to create the ideal “happily ever after” story. A Gemini-Virgo relationship is one which needs time to grow and strengthen as both these Zodiacs share different approaches towards life. These signs have to mutually understand, accept and learn alot from each their differences if they want their love story to become a happy one. Air sign Gemini is flighty, free spirited, creative, intuitive and indecisive in nature. The earth sign Virgo on the other hand is practical, deep rooted, stable and focussed. Gemini creates the ideas while Virgo analyses the viability of the plans before putting them into action. This attitude of theVirgo may come across as too demanding and restrictive to the independent Gemini. They may find the Virgo too serious, fussy and pushy. However, with clear communication and respect for each other’s opinion these two signs can understand and help each other better in attainment to common goals in life. Virgo can provide direction and stability to the Gemini’s unstable life and help them take practical and quick decisions. The Gemini on the other hand can teach the Virgo to relax and enjoy the beauty of life without being so critical. Gemini and Virgo Signs are control by Mercury, the planet of communication and they bring in the perfect balance of masculine and feminine energies respectively, into the relationship. Virgo needs a partner who is dependable and can communicate well. Gemini on the other hand needs a mate who can stimulate them intellectually. Gemini’s flirtatious nature may agitate the Virgo and make them feel insecured in the relationship. Thus to make sustain this relationship in the long run, it is the responsibility of Gemini to provide constant reassurance to their Virgo partner about their sound loyalty and the growing strength of their love bond. Intellect and strong mental ability are what bind a Gemini and Libra in the ideal love affairs. They are both sharp and intelligent and thus when they unite and work as a team, they can produce wonderful results. The Gemini is all about conception and initiation of a plan while Libra is responsible for giving it direction and executing the same successfully. Thus these signs can work together to attain their goals successfully and transform their dream into reality. Gemini is two faced while Libra is balanced in life. Both admire beauty, though one appreciates the physical form while they adore the intellectual form. Libra is commanded by Venus, the planet of love, and Gemini is ruled by Mercury, the planet of communication. Love and honest communication are two of the most essential ingredients that go into the making of the perfect love story and this couple has the right balance of both. These air signs have a large span of different interests which they tend to discuss and opine on quite often. This relationship seldom sees long or noisy arguments since Libra loves harmony and does almost anything to keep this love bond friction free. Libra leads while the flexible Gemini gladly follows. Both these signs value their freedom of thoughts and intellect immensely and thus respect each other for the same. Combined, mutual, honest and aligned efforts of these two signs are sure to take this couple to soaring heights of successes. They can create a strong and flourishing bond of love for life. The success story of a Gemini- Scorpio couple depends on their maturity and ability to accept and respect their differences. Once they can do this, there bond of love becomes eternal. While Gemini is flexible, intellectual and an extrovert, Scorpio is serious, focused, and an introvert. 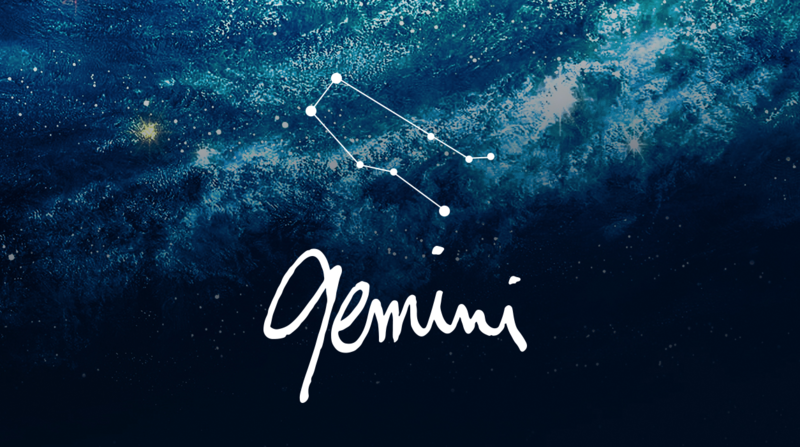 Gemini is free spirited and jovial and take their relationship and their Scorpion partner lightly too. Contrary to this, the intense Scorpio takes their relationship very seriously and tries to form a deep emotionally connection and intimate bond with their Gemini partner. Gemini’s has an intellectual bent of mind and love to talk, discuss and debate. Their flirtatious nature alarms the loyal Scorpio who can become jealous and possessive. This can lead to heated arguments in the relationship. But with solid understanding and the will and effort to reconcile, these differences and negativities can be overcome in no time. Gemini is reigned by the planet of communication, Mercury, while Scorpio is commanded by the planets of power and passion, Pluto and Mars, respectively. Theirs is thus a passionate love affair. Physical and emotional intimacy is of prime importance to the Scorpion, which is why they seek constant reassurance from their Gemini partner about the strength of their love bond. The master of the gab, Gemini knows how to convince the Scorpion about their commitment and dedication in this long lasting relationship. Air Sign Gemini and water sign Scorpio together take decisions that are both intellectually and emotionally sound. The Gemini initiates ideas and plans while the Scorpion judges the feasibility of the same before putting them into action. Thus, if the Gemini and Scorpio can work together in tandem with one another, there is no goal that they can’t achieve. Gemini and Sagittarius are zodiacs that share alot in common and can untie to for a dream the perfect love match. Not only can they be the perfect lovers but also the best of friends. Both of them need to be independent, Gemini intellectually and Sagittarius physically, in the relationship. They have a common passion for learning and exploring and are die hard adventurers. They understand each other extremely well and share the same approach and view towards life. 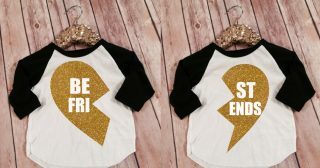 A Gemini –Sagittarius couple is thus and enthusiastic, optimistic and energetic duo which loves to live life to the fullest. Gemini is ruled by Mercury, the planet of Communication and Sagittarius is reigned by Jupiter, the planet of luck and philosophy. Consequently, Gemini is the more talkative of the two and has an intellectual bent of mind. Sagittarius is a thinker and explorer who seeks truth and answers for the questions on life. Thus, Gemini is responsible for coming up with plans and ideas while Sagittarius has the onus of determining the viability of the Gemini’s plan. Gemini Air Sign fuels the Fire sign Sagittarius and helps them to rise to their full potential. These signs share a complex and passionate connection making this relationship an exciting one. However, both desire control and leadership. This leads to competition within the relationship. This gives rise to arguments that are heated, loud and hurtful for both. However, such frictions can be smoothened out easily as both the partners hate to hold grudges and believe in the mantra of Forgive and forget. By mutual understanding and respect, these signs can eliminate these hiccups and create a happy, successful and everlasting love story. These signs are so very opposite to each other that it is nearly impossible to sustain their love ties. The only way to make this relationship survive is be ensuring that both the partners put in sincere and relentless efforts into the strengthening and development of their love affair. Capricorn is a quiet, stubborn, and slow introvert while Gemini is a flexible, light hearted, talkative extrovert. Gemini is commanded by Mercury, the planet of communication while Capricorn is reigned by Saturn, the planet of power. Gemini needs intellectual freedom and stimulation while the Capricorn desires improvement and acceleration of status in life. Capricorn tries to make the relationship work by perseverance and patience while Gemini uses its intellect and communication skills for the same purpose. Both of them never want to quit but eventually start feeling repressed and restricted in the relationship. Air sign Gemini is indecisive, impulsive and dreamy and are known to go with the flow of their illusions, ideas and dreams without judging their feasibility. Unlike their partner, the earth sign Capricorn is practical, consistent and efficient. They tend to avoid risky propositions and thus, evaluate the ideas and options and assess their viability before putting them into action. Capricorn is the initiator and likes to be in charge in the relationship. As long as the independence loving Gemini is not forced into things and are assured of intellectual freedom, they gladly follow the Capricorn. The success of this love affair is based on mutual understanding, respect and the art of compromise. These Air signs connect well with each other, intellectually. Gemini and Aquarius both love talking and are people’s persons. They have a strong social presence, like interacting with people and share multitude of interests. Aquarius is stubborn, rigid and likes to have the leadership in the relationship. Gemini is flexible to change and require complete intellectual independence. If the Aquarius can assure them of this space in the relationship, they will gladly let the Aquarian take the lead. Together this pair can reach milestones in their relationship if they respect and encourage each other’s aspirations and view. Clear channels of communication can help them keep their relationship smooth and obstacle free. It can also help them focus of their dreams and transform them into reality with sincere hard work and perseverance. Gemini and Pisces together make a mutually contended couple, be it as friend or lovers. They share empathy and understanding for each other and their love affair is a happy one. They are both flexible, agile and open minded people who respect and admire one another sincerely. Gemini is ruled by Mercury, the lord of Communication and Pisces is ruled by Jupiter and Neptune, the lords of Luck and Illusion, respectively. Gemini is thus intelligent, witty, humorous and a good orator while Pisces is inquisitive, dreamy, sensitive and deeply interested in learning. Gemini can sometimes be rude and this hurts the sensitive Pisces. Also the over emotional attitude of the Piscean at times dampens the Gemini’s lively spirit. These can cause hiccups in an otherwise smooth relationship. However, these frictions don’t last for long since both the signs are quick at forgiving and forgetting. They value their relationship and put in their best efforts to make it work. They are both adaptable to change and neither wants to lead the other in a relationship. They treat each other as equal and respect their partner’s freedom. This combination of the air Sign Gemini with the water sign Pisces is one which is balanced mentally, physically and emotionally. This couple is known to take the best decisions that are based on intelligence, emotions and intuitions. If the two communicate well with each other and mutually strive for reaching their common goals, success is assured for them. They can create a bond of love which will grow stronger with time and become eternal. Which Zodiac Sign Can Be Your Best Friend Zodiac Match And Why? Which Zodiac Women Are The Most Attractive On The Earth?